In this file photo, the Capitol is seen in Washington, Friday morning, Dec. 14, 2018. 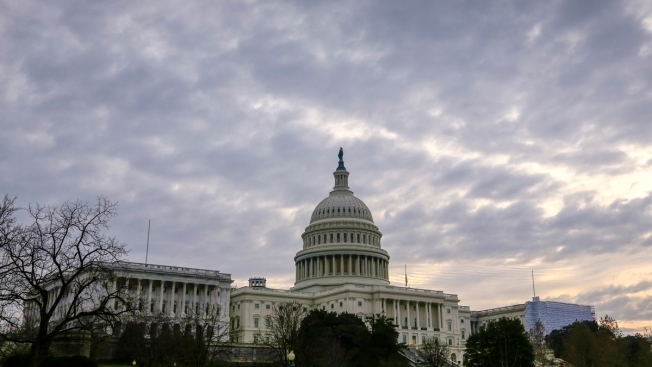 The Senate on Tuesday passed a sweeping criminal justice overhaul. The House is expected to pass the bill this week, sending it to President Donald Trump for his signature. —Attempts to focus the toughest sentences on the most violent offenders by lowering mandatory minimum sentences for prior drug felonies, including reducing the life sentence for some drug offenders with three convictions, or "three strikes," to 25 years. —Gives judges more discretion when sentencing nonviolent drug offenders. —Allows about 2,600 federal prisoners sentenced for crack cocaine offenses before August 2010 the opportunity to petition for a reduced penalty. —Encourages prisoners to participate in programs designed to reduce the risk of recidivism, with the reward being an earlier release to a halfway house or home confinement to finish out their sentence. To win over wary senators, sponsors tweaked the bill to prevent those convicted of violent firearm offenses, sexual exploitation of children and high-level fentanyl and heroin dealing from participating. —Clarifies that prisoners can get seven additional days of credit for good behavior for each year of their sentence. The credits are deducted from a sentence to allow for early release. An inmate serving a 10-year sentence who earns the maximum credit would be released 70 days earlier than under current law. The Congressional Budget Office estimates the change would save $414 million over the coming decade. Currently, the federal corrections system oversees about 184,000 inmates whose sentences range from less than one year to life.